Tobacco smoke is one of the toughest elements to cleanse from the air. That’s why O3 Pure's Air Purifier filters include hospital grade HEPA and activated charcoal, plus a powerful ozone generator. While the others capture the smoke particles that get pulled through the machine, the Ozone dissipates throughout the room, breaking down the airborne particles that cause smoke to smell so bad. You don’t need to run the ozone generator all the time. Run it while you are away at work. The unit has a timer that you can set to turn off before you arrive home, generating just the right amount for your needs. 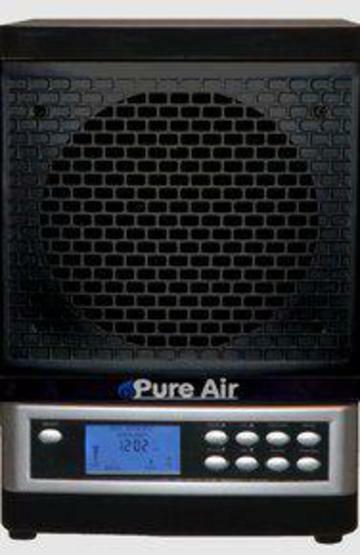 Whether you or your family members suffer from allergies to pollen, mold spores, pet dander, VOC (Volitile Organic Compounds), or cigarette smoke, the O3 PureAir has 7 levels of filtration which are designed to take aim at airborne allergens in your home or office, making your air cleaner and fresher. Try it. Your satisfaction is so important to us that we ask that if you don’t feel the improvement within 60 days we want you to return the product for a full refund. Does not meet California requirements; cannot be shipped to California. Activated Oxygen (O3) (Purify) O3 oxidizes airborne particulates such as perfumes, household chemicals, food smells and cigarette smoke. It breaks apart chemical pollutants while the O3 is converted into O2 (pure oxygen). Dirt, Dust, and Debris Pre-Filter This initial stage traps large particles such as dirt, dust, fur, and debris. 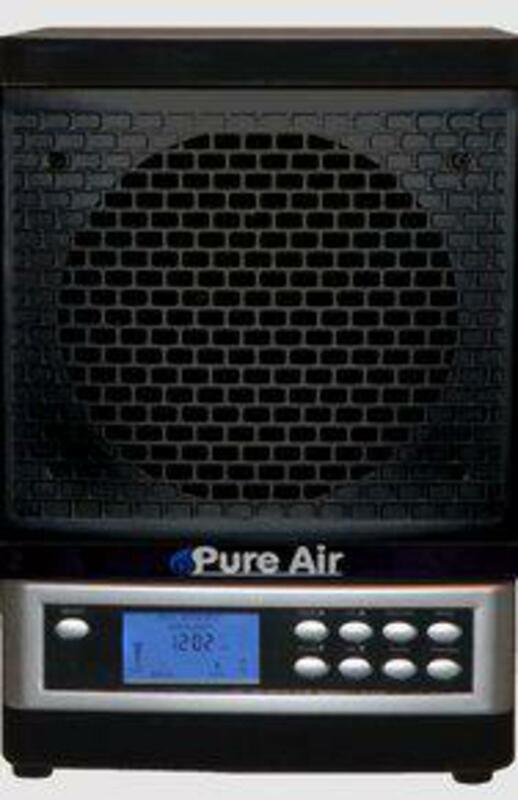 Hospital Grade Washable HEPA Filter Although The Summit™ is a product of choice for hospital environments, families appreciate having an air purification overachiever protecting the home, too. With a filtration rate of 99.3%, this hospital grade HEPA Certified filter is washable and delivers serious air filtration capable of capturing microorganisms, bacteria, mold, and viruses below 0.3 microscopic particles. Activated Carbon Filter Activated carbon effectively removes bad smells, odors, smoke, and other undesirable airborne compounds through absorption. UV2 Ultraviolet Sterilization mimics the sun’s sanitization properties. Artificial UV energy has proven to be 1,600 times more effective than the sterilization effect of the sun in killing viruses and bacteria, mold spores, mildew bacteria and other airborne antigens and pathogens. TiO2 Photo-Catalytic Filter The Photo-Catalytic Filter oxidizes toxic fumes and decomposes odorous substances into odorless carbon dioxide and water. Removes airborne bacteria and deactivates viruses. Negative Ions (Anions) Produces negatively charged electrical particles that attach themselves to particulates in the air (positives ions), rendering them heavy enough to fall to the ground and out of the air we breathe.